This article focuses on fixing error “USB Device Not Recognized. One of the USB devices attached to this computer malfunctioned, and Windows does not recognize it”. This is a common error that heppens to pen drive, USB flash drive, memory card and other external devices. It is an annoying problem, because it does not disappear after re-plugging the device for many times. When you check storage devices in Device Manager, the USB drive is shown as “Unknown Device” under Universal Serial Bus Controllers, and you can find another error “Windows has stopped this device because it has reported problems. (Code 43)” Most of times, there is nothing wrong with the USB device which works properly on ther machines. Althoug it is a very common error code, reasons behind it are not easily determined. This section list most common cause accoount for the error. There is conflicts among attached devices. Before trying this solution, you should make sure BIOS on your computer is updated to latest and the USB port works properly. Open Device Manager. Right-clic Computer (This PC) from deaktop and select “Manage”. Then you can click “Device Manager” on the computer manager window. Locate and double-click the USB device under Unversal Serial Bus Controller to expand it. Then righat click on the Host Controller to select “Uninstall”. Click OK. Tip: the USB device here might be shown as Unknown USB device with yellow sign. Repeat step 2 to uninstall all iteams under Universal Serial Bus cintrollers. How to recover data from unknow USB device? When USB device cannot be recognized by Windows properly, turns to unknow USB disk or become RAW drive, you will task the risk of losing all files on that device. 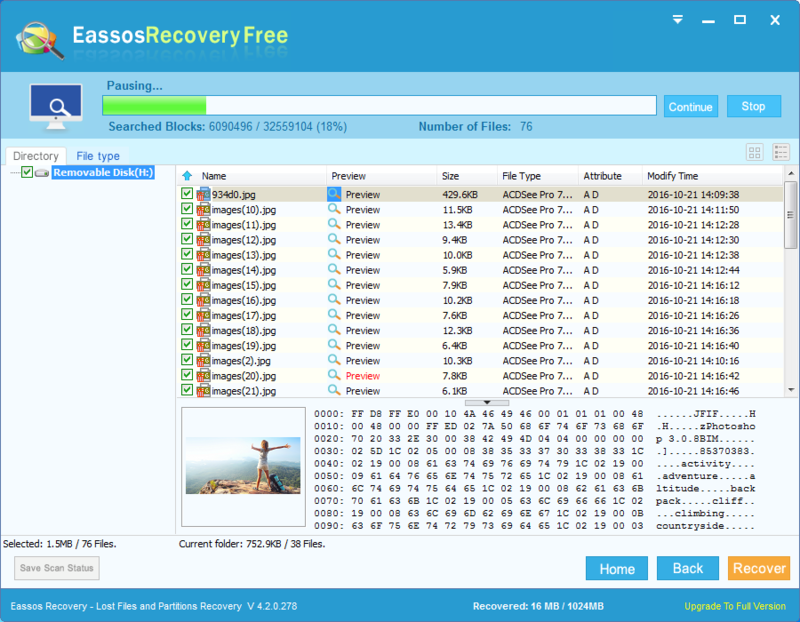 In that case, you can perform data recovery using free data recovery software – Eassos Recovery Free. 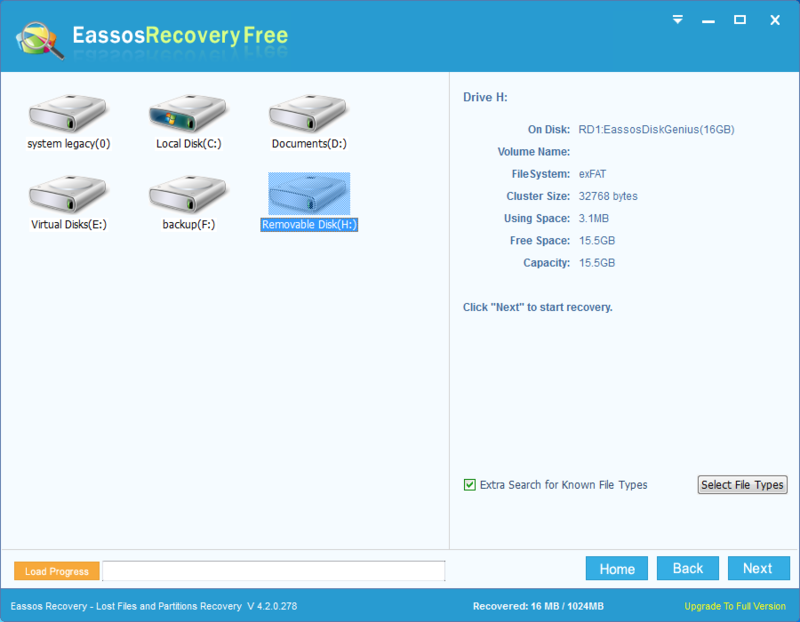 First and foremost, you should plug the removable drive to computer and install Eassos data recovery on computer’s hard drive instead of the disk that needs recovering data. 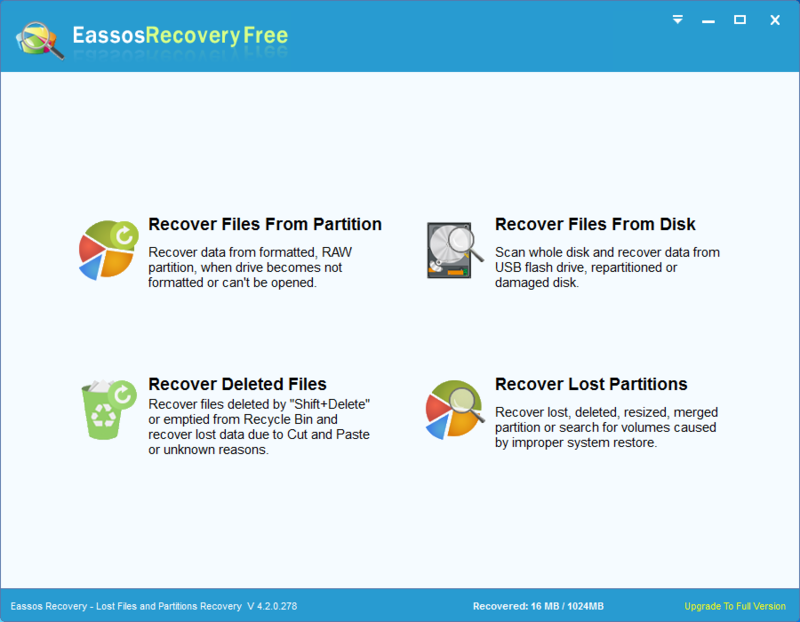 Step 1: Launch Eassos Recovery Free and select “Recover Files From Disk” button. Step 2: Select the removable drive from which you want to retrieve lost files and click “Next” button. Then the recovery freeware starts scanning it for lost data. Step 3: File preview and recovery. File preview is available during or after scanning to determin whether files are recoverable. To get files finally recovered, you should select data and click “Recover” button in order to save them to elsewhere on the computer. This entry was posted in Partition Manager and tagged one of the USB devices attached to this computer has malfunctioned, the last USB device you connected to this computer malfunctioned, unknow USB device, USB device malfunctioned, USB device not recognized by EASSOS. Bookmark the permalink.